Call on the Austrian State to Drop the Charges against Michael Pröbsting! Socialist Fight completely endorses this solidarity call and urges all principled socialists, anti-imperialist fighters and labour moment militants to rally to the defence of Michael Pröbsting and RCIT in this attack on a principled revolutionary socialist militant leader under attack by the imperialist Austrian state who are defending the Zionist state of Israel because of the solidarity carried out by the comrades with the oppressed Palestinian masses. Stop the Legal Persecution of Solidarity with Palestine! Call the Austrian State to Drop the Charges against Michael Pröbsting! The Austrian State tries to legally persecute pro-Palestine activists for their Anti-Zionist views. On 20 April 2016, the “Federal Bureau for the Protection of the Constitution and Counter-Terrorism” (the political police in Austria) summoned Michael Pröbsting to answer charges of “sedition” and “call to a criminal action” ($282 of the Austrian Criminal Code). In case he is convicted at a trial he can face up to one year in prison. Michael Pröbsting is the International Secretary of the RCIT and a long-time activist in solidarity with Palestine. (1) He has visited Palestine twice. Pröbsting collaborates with Arab migrant communities in Austria since many years and has been invited to address their demonstrations and meetings many times. In his interrogation, Pröbsting repeated what he has stated in public in speeches and writings since many years: He supports the one-state solution for Palestine which means that all Palestine refugees have the right to return and that the state of Israel is replaced by a single state of Palestinian and Jewish people. When the police asked him if he supports terrorist attacks, he replied that he opposes terrorist attacks against civilian people but that he supports the armed resistance of the Palestinian people against the Israel army. The public prosecution department will now decide if it will press charges and open a trial against Pröbsting or not. We strongly protest against this legal persecution of Michael Pröbsting and the viewpoint of Solidarity with Palestine and against the state of Israel. It is obvious that these charges, brought up half a year after the incriminated speech, are part of a political offensive by pro-Israeli forces. Likewise these forces tried to create a scandal when another organization invited the Palestinian liberation fighter Leila Khaled for a meeting. (2) In Britain Anti-Zionists are currently expelled from the Labour Party (3) In the United States supporters of the BDS campaign face numerous pressures. 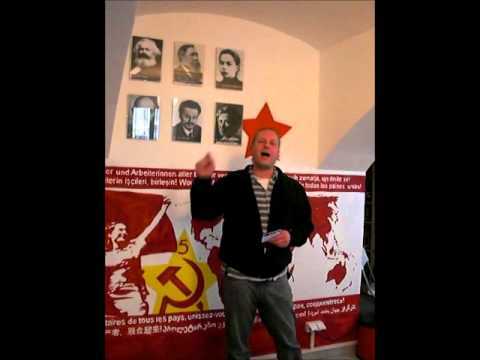 Three years ago, Johannes Wiener, another comrade of the RCIT, has been threatened with similar charges because of a speech at a rally in which he expressed similar views as Pröbsting. At that time we initiated a campaign of solidarity and the charges, which were pressed by a pro-Israeli organization in Austria, were finally dropped. (5) We call all friend of the Palestinian Liberation Struggle, all who defend democratic rights to join our solidarity campaign, to sign the following statement and to send it to the public prosecution department in Vienna. We, the undersigned, have been informed that Michael Pröbsting has been summoned by the “Federal Bureau for the Protection of the Constitution and Counter-Terrorism” on 20 April 2016 because of a speech at a rally half a year earlier. In his speech, Pröbsting said “With our hearts we stand with the Third Intifada as long until the State of Israel is abolished and all people in Palestine can live peacefully together.” If the public prosecution department opens a trial against him and he gets convicted, Pröbsting can face up to one year in prison. Irrespective of our concrete views about the future perspectives of the Palestinian people’s liberation struggle, we oppose the legal persecution of Michael Pröbsting. (1) The Revolutionary Communist International Tendency (RCIT) in an international organization with a presence in 10 countries. 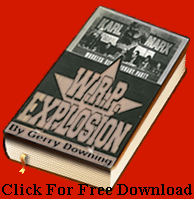 Its website is www.thecommunists.net and it can be contacted at rcit@thecommunists.net. (2) This speech was given at a rally on 16 October 2015 which was organized by the Ahwazi Arabs, an oppressed national minority living in Iran. Michael Pröbsting was invited to address the rally. A brief report of the rally with links to pictures and the video of his speech (in German language) can be viewed here: http://www.thecommunists.net/rcit/solidarity-with-ahwazi-arabs/. The incriminated sentence starts at 4.00 minute. (2) See on this e.g. (3) See on this e.g.